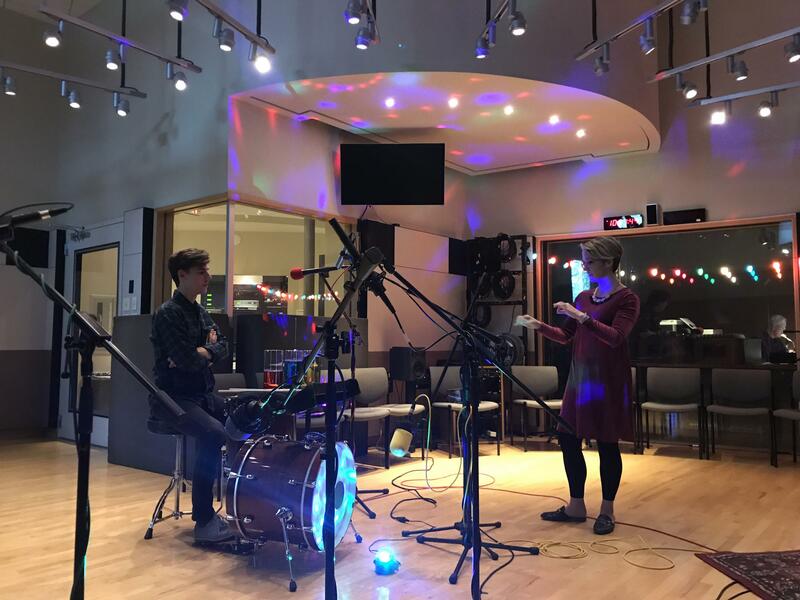 In this collection of three performances from Live in Studio C we wanted to highlight sounds that surprised our listeners (and us) when they were first broadcast. All three pieces of music are also brand new works, performed by the composer. 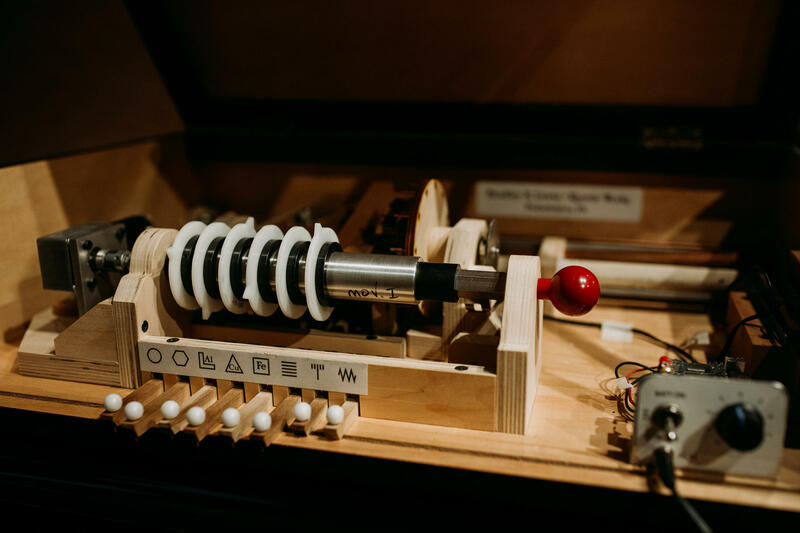 Composer Christopher Walters, along with ALIAS Chamber Ensemble, brought an instrument that he just called "the machine" for his piece Mikromechanische Momente. 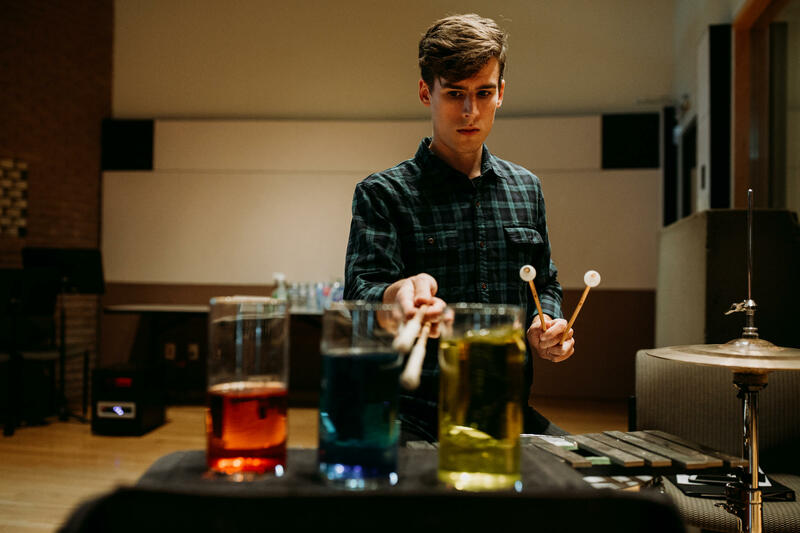 Percussionist Jesse Strauss, performing as a part of chamber music ensemble Chatterbird, had glass vases as part of his setup for Either/Or. Strauss used the reflective nature of his setup to his advantage, setting up a disco light in the studio. 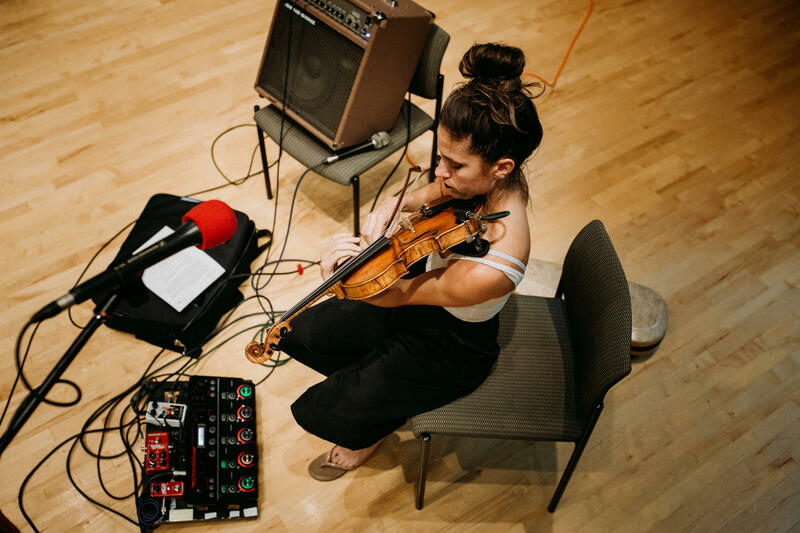 Violinist Alicia Enstrom wanted a portable orchestra but decided instead to be a one-woman band, as exemplified by the looping and layering present in her piece Lo-Fi. To hear more, listen to the full episode. Check out the rest of Keeping Score, including previous episodes, by subscribing wherever you get your podcasts.